Tehran, Sept 21, IRNA – Iranian Army displayed its S-300 missile systems during a military parade held on the occasion of the Sacred Defense Week to mark the anniversary of the Iraqi Ba’ath regime’s invasion on Iran in 1980. During the parade, different units of Iran’s Armed Forces also showcased their military equipment and capabilities including a number of the S-300 missiles manufactured both in Iran and in Russia. 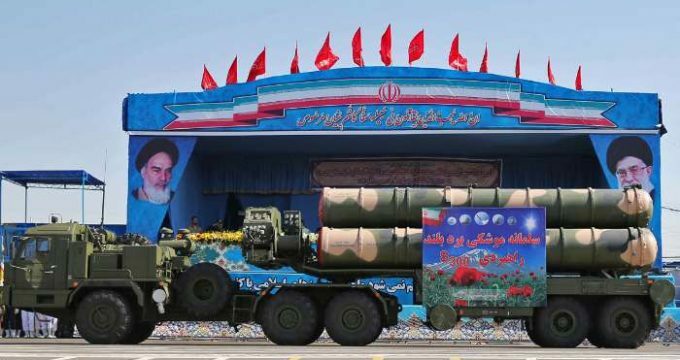 The Armed Forces also put into display the long-range S-200 anti-aircraft system along with other missiles manufactured by Iran including the Qader and Sejjil missiles. Qader is an anti-ship cruise missile with a range of 200 km and Sejjil is a family of Iranian solid-fueled ballistic missiles. Parade of various units of the Armed Forces started on Wednesday at the mausoleum of the late Founder of the Islamic Republic of Iran Imam Khomeini in southern Tehran to mark the Sacred Defense Week in the country.